Today was a very bad day to wear heels. Or wear business attire. Our department at work is moving this Friday. Several of us were told that we were moving on Wednesday. Unless I am mistaken, it’s not Hump Day. Yesterday was Sunday. I know that because I spent the day sweaty and covered in sawdust. That’s not what happens on Tuesday, a day usually associated with 8 hours of back-to-back meetings. Still, I moved. 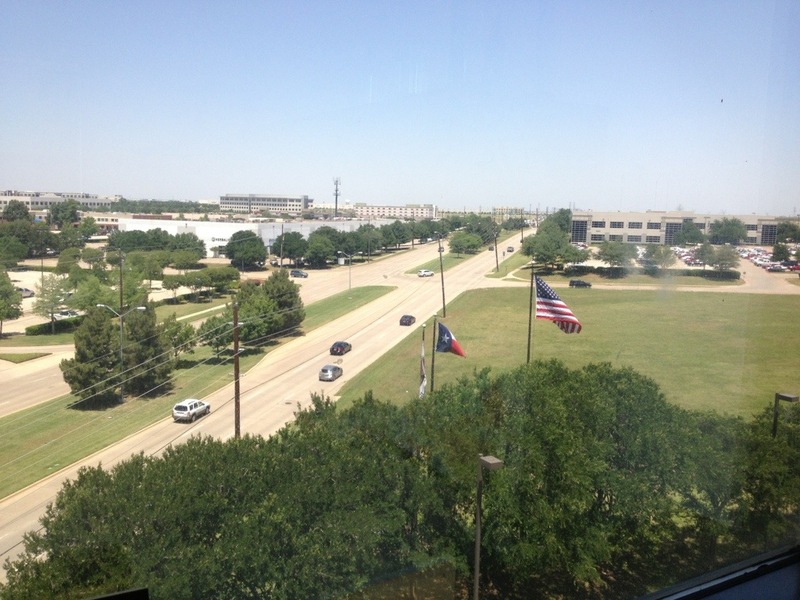 My new office is sunny and bright with a view of a busy street and with lots of planes landing over at DFW. I moved everything in my office, minus two chairs, myself. Now I could have waited until Friday and my boxes would have been brought to me by the movers. But since I’m so experienced these days at moving boxes, furniture and stuff, I figured I’d use my lunchtime to git ‘er done. I borrowed a cart. I put a couple of boxes on my office chair. In no time at all I was unpacked and it was business as usual. I think I’m going to love the new space. Tonight it was business as usual at home too. Bruce caulked the trim in the back bedroom while I made dinner. After dinner we moved the furniture into the bedrooms. I should say I moved it. Bruce was busy assembling it since we broke everything down as much as we could. So I was the brawn to his brain. No need for the gym today. After that we moved the mattresses and put all the furniture back in place. I made the beds. The nicknacks and art will be put out later. But right now, we are ready for guests once again. Slowly but surely things are getting back to normal. It’s going to be lovely working and living in these new/improved spaces. This entry was posted in So and tagged bruce, DIY, Julie Petroski, Mortroski Midcentury, moving, work. Bookmark the permalink. enjoy all of your new and improved spaces.